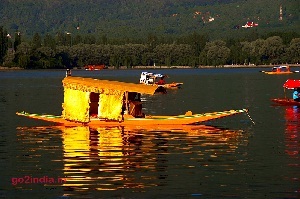 Known as heaven on earth, Jammu & Kashmir is popular for its various tourist destination. 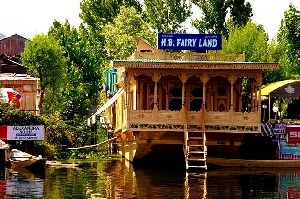 Lakes , Valleys , Mountains and its various religious places attracts tourist from all part of the world. This is one of the favourite spot for Bollywood film shooting. The famous Sri Amarnath Yatra continues for two months during July � August every year. With opening of Banihal Qazigund tunnel it is expected that shortly Jammu Udhampur Srinagar Baramulla Railway Link will be completed. 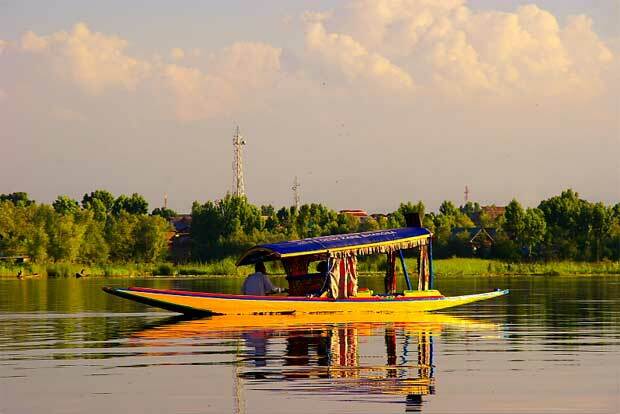 Road link connects all part of Jammu & Kashmir with major traffic passing through NH No 1A between Jammu and Srinagar. NH 1A runs between Uri in Kashmir Valley to Jalandhar in Punjab state. There are two entry points in Kashmir valley for trekking to Holy cave of Amarnath. The road ends at Baltal and from here holly cave is 14 KM. Helicopter service is available from Baltal to Panchtarni ( 6 KM before cave ). This rout is shortest one and can be covered in one day but stiff climbing is required. Pahalgam Chandanwair Pishutop, Zojipal, Nagakoti Sheshnag Mahagunas top, Rabibal, Posh Pathri, Panchatarni Holly cave. The road ends at Chandanwari and from here holy cave is 32 KM to be covered by trekking. Horse , Dandi / Doli . 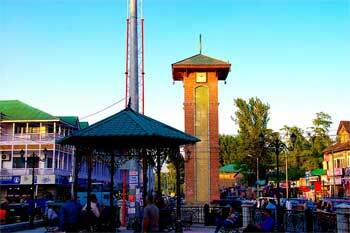 Helicopter service is available from Pahalgam to Panchtarni. 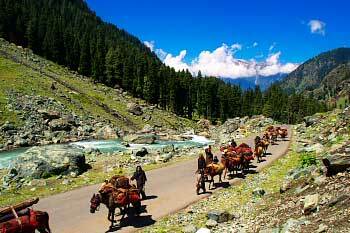 The spiritual importance of Pahalgam is more as legend says Lord Shiva travelled on this rout to reach the holy cave. In this journey he left is bull at Pahalgam ( Bail gaon ) , then he left is moon from his head ( Jata ) at Chandanbari . Further on the way left his snake at Sheshnag lake, then left Ganesh at Mahagunas top. He left all five elements of living ( air, water, earth, fire , sky ) at Panchtarni and enter into the holly cave to narrate the secret of immortality (Amar Katha) to Maa Parvati. It is said that one egg was laying below the asan ( dear skin used by Lord Shiva for sitting ) during the narration. Subsequently two pigeons came from the egg and they became immortal. They are still available and occasionally visible to devotes. Leh is the main town of Ladakh division. Ladakh is also known as cold desert due to low rain fall here. Monasteries , mountains , valleys and Lakes are the main attraction for tourist. World's highest motorable road Khardungla Pass connects Nubra valley to Leh town. Pangong Lake , Tso Moriri Lake are two famous lakes of this region.